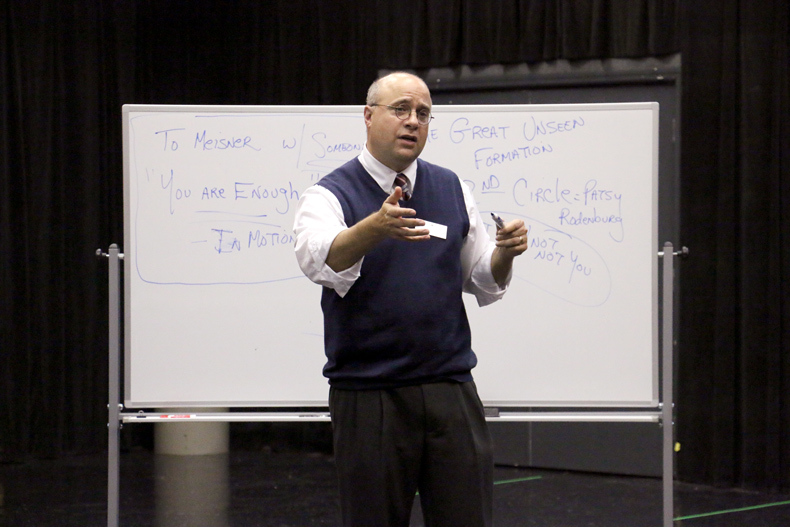 As an acting teacher and theatre educator, I am grateful to have taught within colleges and universities, in various workshops, and through individual coaching sessions. 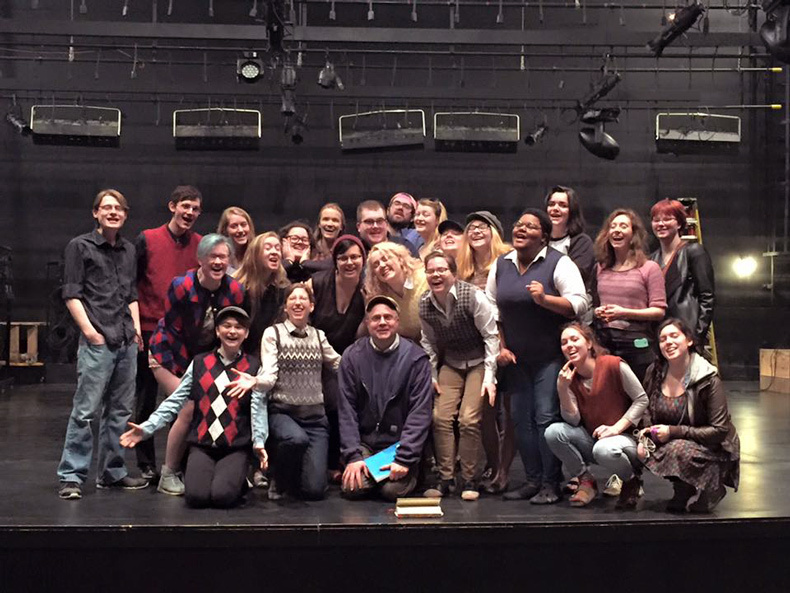 Having served as an Associate Professor of Theatre, I spent nine years as Head of Acting at Cornell College in Iowa where I developed a performance curriculum for pre-professional training within a liberal arts setting. 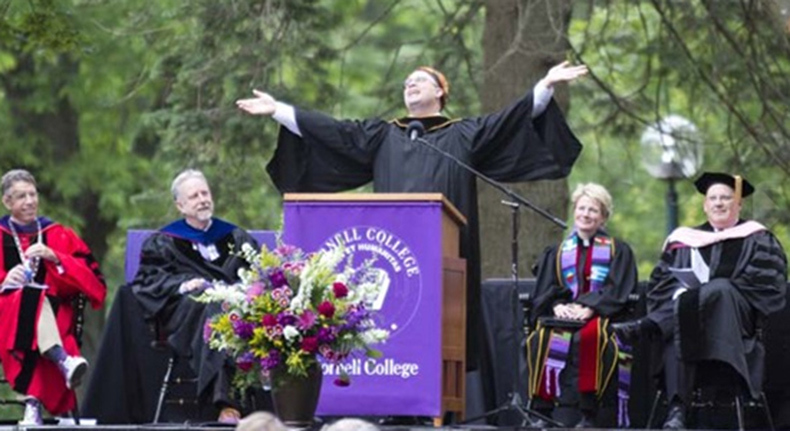 Cornell College Faculty Address – Commencement 2012. Feel free to view excerpts here and here. 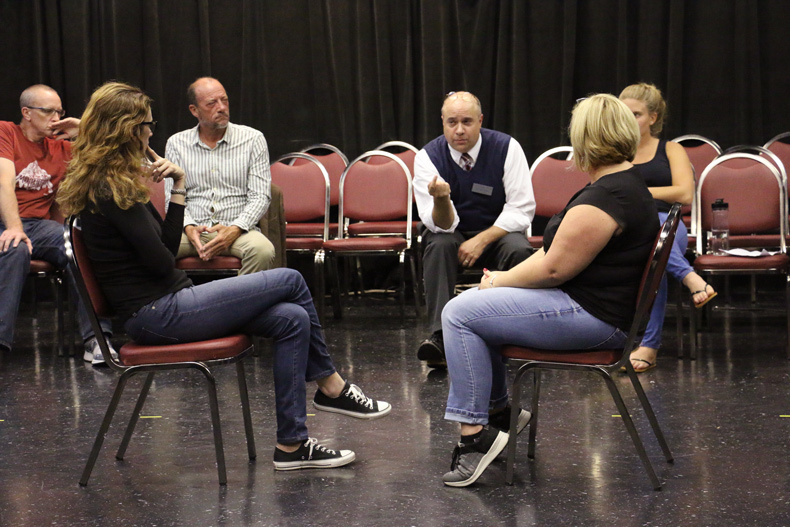 I created adult acting classes and life-long learning opportunities while at Riverside Theatre in Florida. And I have provided workshops on such topics as ensemble-building, voice and movement techniques, auditioning, and public speaking in both theatre and non-theatre venues for the last 20 years. I am also fortunate to have studied Shakespeare and received Voice & Text training with Patsy Rodenburg, OBE, at the Michael Howard Studio, and I completed my Meisner Teaching Certification at the True Acting Institute. Whether through scene and monologue study, ensemble development, or audition preparation, I have always tried to establish an environment that encourages discovery, examination, collaboration, and possibilities. For me, all of these celebrate a common thread of building connections – of seeking to be truly present with one another and within ourselves; of listening and responding actively moment-to-moment; and of releasing such foundations within a theatrical space and time shared before an audience. Through various exercises and activities introduced and explored in the workshops and designed to awaken and shape our artistic selves as story-tellers, I hope to help students further develop the skills to immerse themselves in the playwright’s words and voice, to locate that voice within their deepest selves, and to, in some way, impact the world through their artistic expression in the classroom, in rehearsal, and in performance.